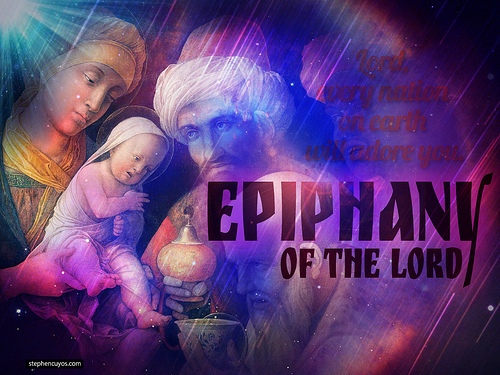 In the church calendar Epiphany begins on 6 January, the Feast of the Epiphany and continues through the 3 or 4 Sundays of Epiphany until 2nd February, the Presentation of Christ in the Temple ('Candlemas'). Epiphany means 'revelation' or 'showing forth'. It is about how God is revealed in Jesus, through signs, miracles and preaching. In a personal sense an epiphany is a 'light bulb' or 'eureka' moment, that sudden realization of a truth previously hidden from understanding - that moment of exclaiming, "now, I see." Wise Men and a 'cold coming' is about what was it the magi found - birth or death?